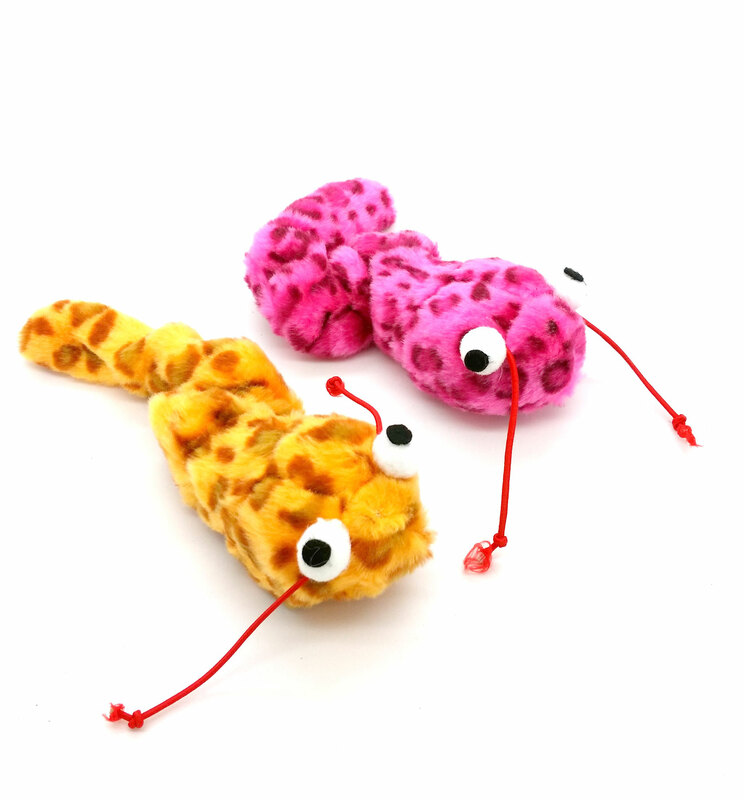 Wiggle Worm will vibrate, shake and squirm when tail is pulled. Cats will go crazy trying to catch it. 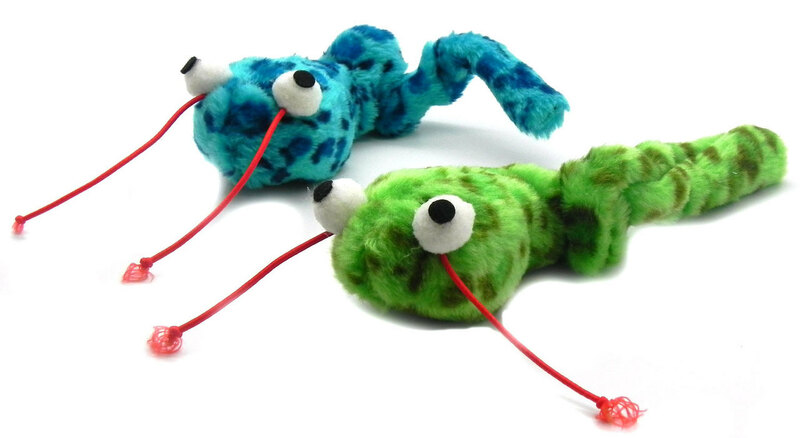 Each Worm is made out of Plush Material with elastic tail. Measures 6-1/4" in Length and can be stretch to 11" in Length. My cats absolutely love these toys! It's the only one that they will continuously play with and not get bored with after 5 minutes.